I am looking to start using Lightning now that Gutenberg has been released, migrating away from the bloat that is Thrive Architect. If you do decide to get started, I'll update the changelog and give a set of directions on exactly what changed and how to fix it for your site. Part of that will be adding styling for the Gutenberg blocks so you'll know what to change versus having to figure out what to add. 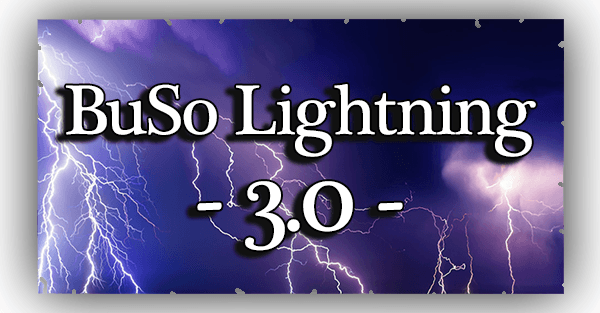 BuSo Lightning 3.0 has arrived! To hit on the main points, the mobile menu has been completely recreated from the ground up. The breakpoint to tablet makes more sense now and keeps the main content area from being too thin on desktop. Tons more Wordpress bloat reduction. Faster everything. And Lightning is now Gutenberg ready! CSS Changes - Hopefully you created a child theme after you installed this, right? If so, you'll have no issues unless you drastically have changed any existing CSS versus only adding to it. If that's the case you should have no problem fixing any minor issues that appear. Robots.txt - I'm now packaging a robots.txt file with the installation, so if you have an existing one, back it up before you upload this update. You can port your changes into it or replace the robots.txt with your own copy, but definitely do a comparison and keep what I added. First, head on over to the BuSo Lightning Demo and play with the new mobile menu. It's smarter and prettier. Then while you're there, check out the new post concerning the new Gutenberg Blocks, because, yes, Lightning is now fully compatible with the Block Editor. That's right. Lightning was and is and will remain the fastest Wordpress theme available for you to build on. With further optimizations on your side that I can't do for you, you can get even faster. You should know this because you're only supposed to be using this if you're enough of a developer to style the theme and add new functionality. So you should definitely be able to update a theme. But I know many people are using it for the speed gains and not styling it at all, so here's the skinny on updating. Download the busolightning.zip below and upload it to the wp-content/themes/ folder through FTP or File Manager, and then unzip it there and allow it to overwrite the parent theme. *WARNING* - If you customized your Lightning install without a child theme, this will overwrite ALL of your changes. You're better off not updating if that's the case. If you have a child theme, you're fine. If you did heavy customization you may find a few small CSS issues to fix, but otherwise you'll be fine. I'm not promising I'll get to any of this immediately, but I more than welcome any suggestions regarding additions that stay within the BuSo Lightning philosophy of SPEED, SLIM CODE, NO BLOAT. For instance, I almost added the Sticky Post ability but I didn't want to spend time on a feature I wasn't sure whether people used or not. I don't use them and never have. Would you? What else would you like to see? I just remembered that I need to add a Tag template, so that's coming next time. Anything else? If you find any issues, please report them to me in a PM or in this thread and I'll fix it up ASAP. Let me know anything you like or dislike. And remember, the design is minimal. You are meant to add to the design. This theme is meant to be a fast-as-lightning launch pad for you to build your site off of, and not a fully fledged design in and of itself. All of this means you're supposed to be at least a front-end developer to some degree, if not a Wordpress developer who can add more functionality too. If you're a newbie, then consider visiting the official BuSo Lightning Support Thread in the DevOps section here on BuSo and we'll all be glad to help out. Props to you for keeping this updated year after year. @Ryuzaki, thank you for your massive efforts on this. I'm sure many others also appreciate the work you put in. I use manual excerpts and when I do that, the Read More button doesn't appear. It isn't a big deal (I added it in the category.php file), but it might be nice to set the default functionality to include it. Here is more detail. These can be accomplished by plugins, but I find that most plugins add multiple server requests and include every conceivable option. BuSo members probably don't need that since they can do a lot on their own. Obviously, take these with a grain of salt. Maybe they belong in Wildfire. This would be very helpful in separating reviews from informational posts. As you can see, this is very basic and doesn't include images or anything crazy or annoying. However, it does help visitors find what they need easier. This is a pretty common need and I assume a lot of people use it for longer pieces of content and on-page SEO. I use Easy Table of Contents, but it is pretty heavy. I'm thinking about combining more of their files, stripping others, and making my own version of their plugin that has fewer server requests. Although, it may not be worth it. - I added a lot more Gutenberg Block Editor styling, because the Columns block was basically useless beyond 2 columns. Wordpress had to make assumptions about breakpoints, and they totally sucked. I feel bad for every theme developer out there, especially if they didn't standardize their themes all at the same breakpoints. - I added a Tag Template just for convenience. It's literally just a copy of the category.php template renamed as tag.php. If you're not using the Column Block any where then you don't really have to bother. Otherwise you can just copy the bottom-most portion from the CSS file for the Block Editor stuff and paste it over that section on your parent theme. If you want a tag template you can download the theme and pull just that one tag.php template out and add it to yours in the same spot. Easy cheesy. Removed manual <title> tag from header.php and telling Wordpress to inject it through wp_head() instead. 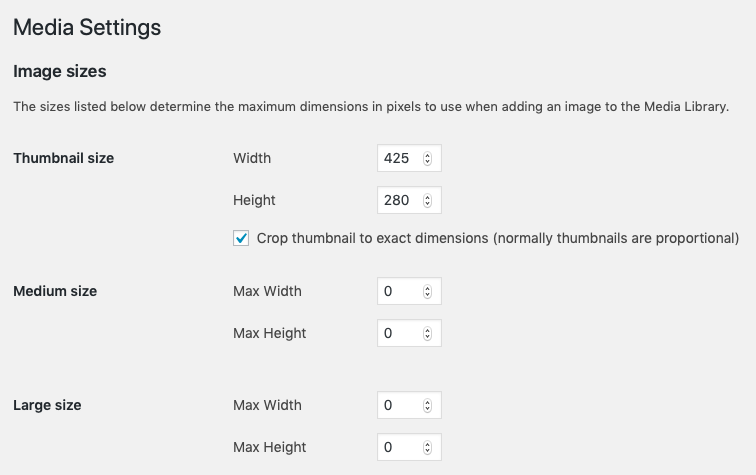 Increased the max-width of the container from 960px to 1100px, allowing for a better desktop experience while having no effect on mobile or tablet.